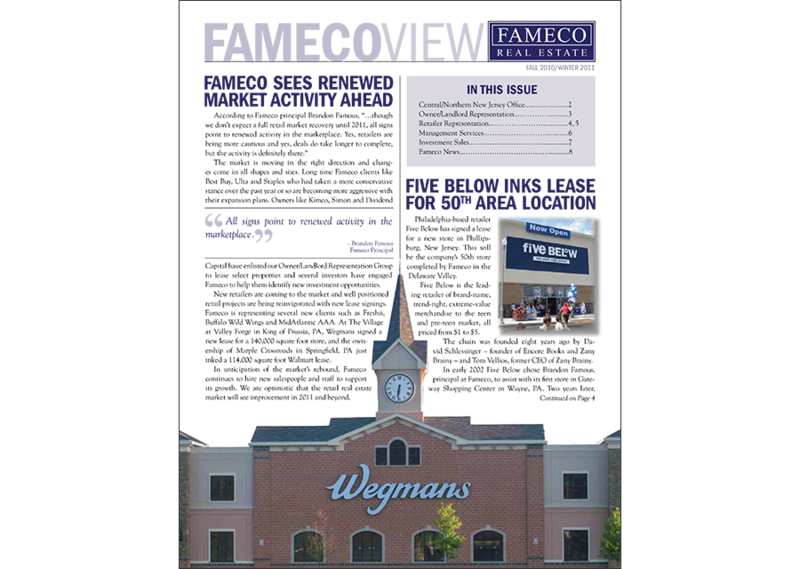 Serkes Marketing created a newsletter design for Fameco Real Estate.The newsletter was for the International Council of Shopping Center Show. It portrayed what their company stands for – a high level of service, integrity, and expertise. The best newsletter design was clean, commercial and classic.